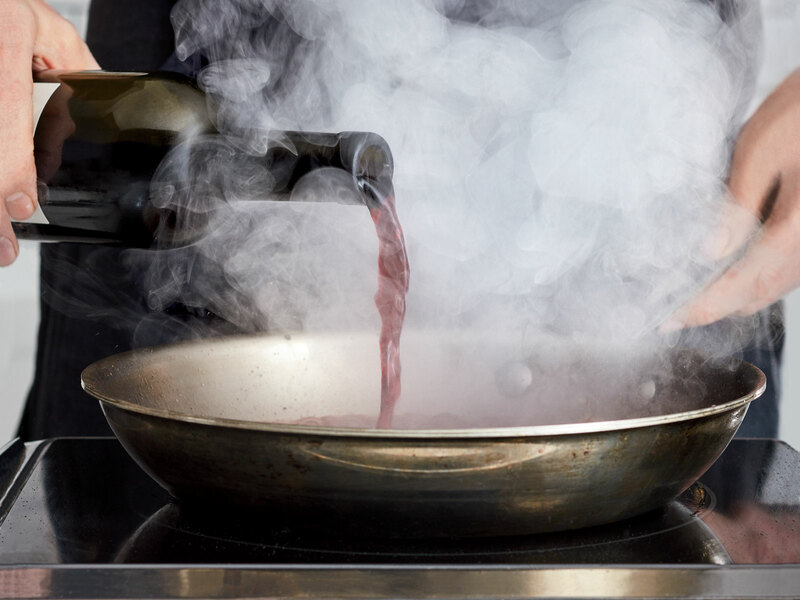 Deglazing with wine is the oldest trick in the book for building deeply flavored sauces. 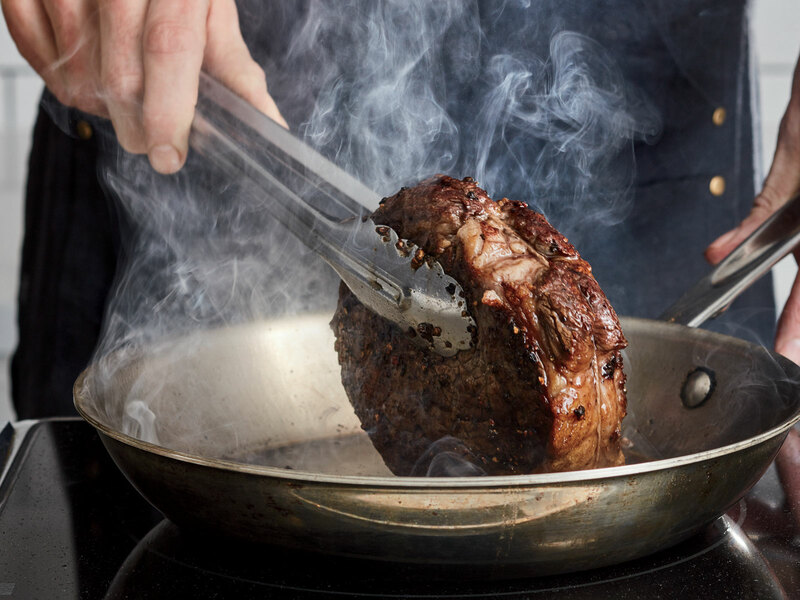 But it’s also the easiest way to make an elegant and satisfying steak dinner on the fly. 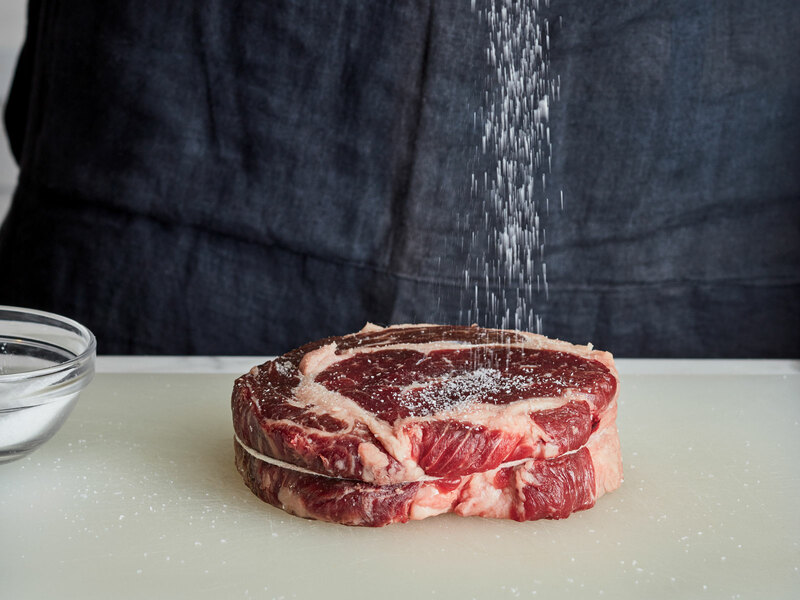 Season steak with salt and pepper, pressing pepper into steak. high. Add steak and sear until crusty, browned, and fat is rendered, about 2 minutes. Flip and sear 2 minutes. Using tongs, lift steak and press edge of steak into pan, rolling until edges are browned and rendered. 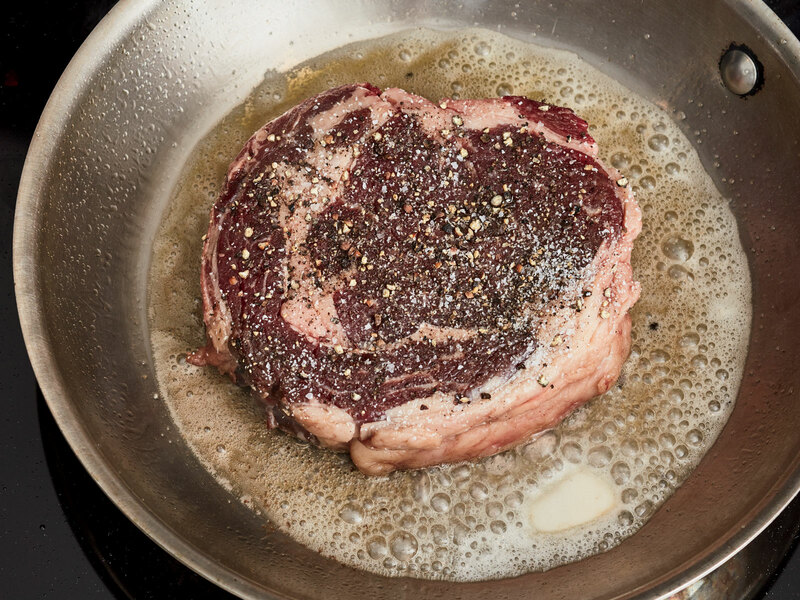 Place steak flat in pan, and reduce heat to medium. Cook to desired degree of doneness, 2 minutes to 2 minutes and 30 seconds per side for medium-rare. 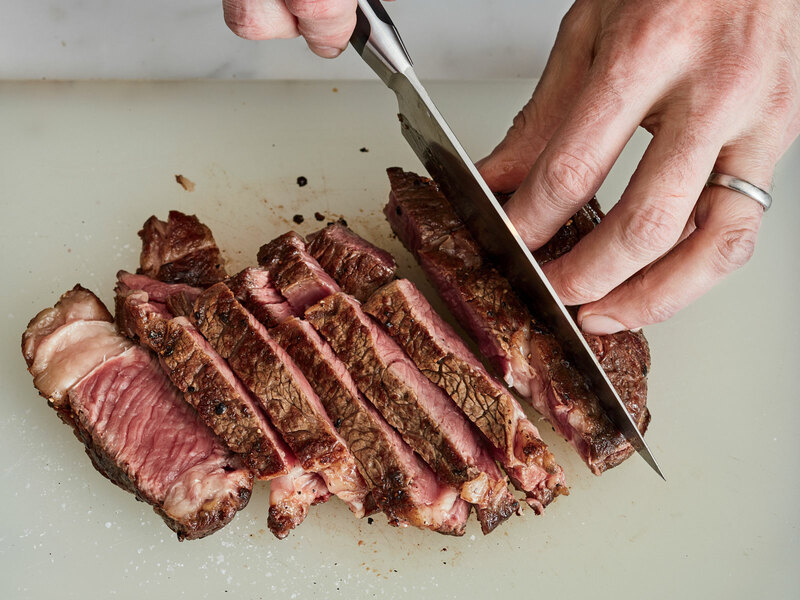 Transfer steak to a cutting board. Pour off fat from pan, reserving fond in pan. Melt 1 tablespoon butter in skillet with fond. 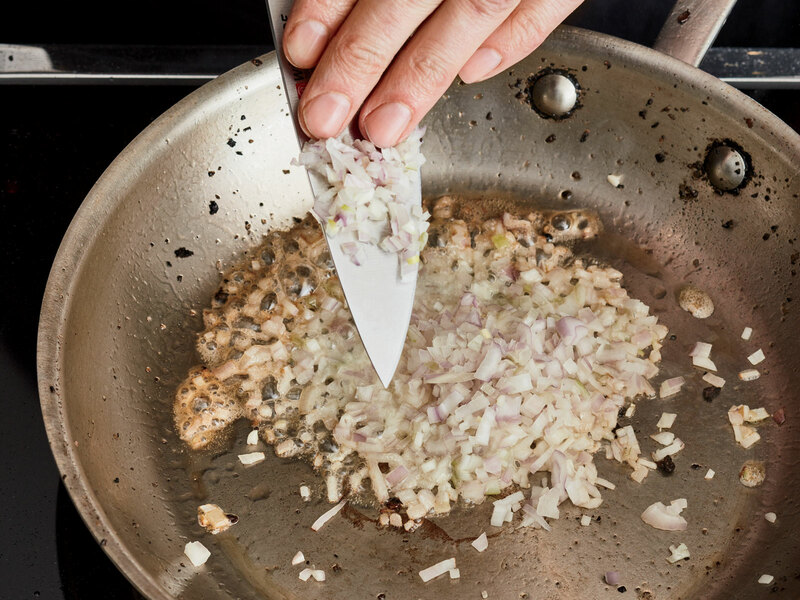 Add shallots and cook, stirring often, until shallots are softened, about 2 minutes. Deglaze the pan with wine. Simmer until reduced by half, about 3 minutes. Add broth and simmer until sauce is thick enough to coat the back of a spoon. 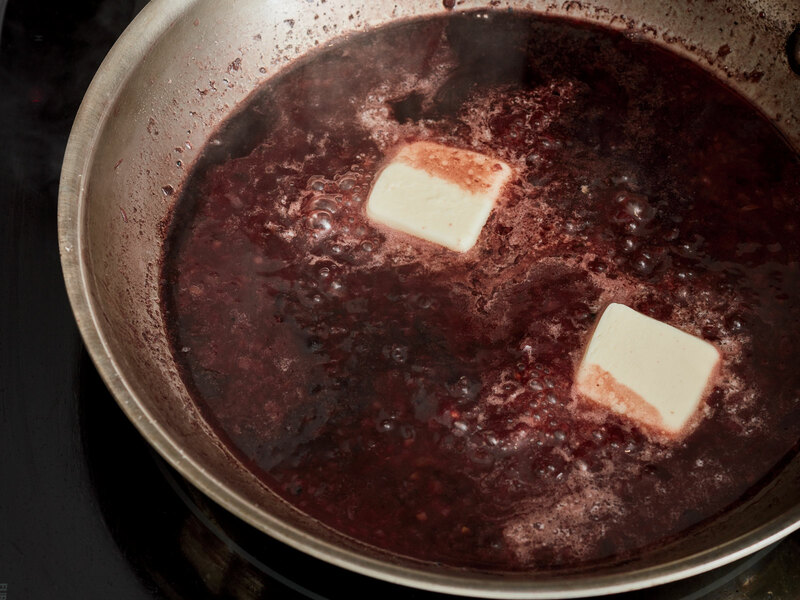 Add remaining 2 tablespoons butter to sauce, and gently shake pan to incorporate butter as it melts. Slice steak, and divide slices between 2 plates. Drizzle steak with pan sauce and serve.